Relieving Stress and Relaxing with Meditation in the Bathtub! Yes, you read that right! It is time to meditate in the bath, and why not? Meditation, no matter where it takes place, is a handy tool for bringing your mind and body into balance; it can reduce stress, help you heal, and simply give you time to relax. So, as we talk you through the how-tos, why not run yourself a nice stress relieving bath? Before you go aquatic, and especially if you’re not too familiar with the concept, these are the basics of meditation. Find a space where you can be at peace, somewhere quiet where you won’t be disturbed; in this case, the bath. Next, choose a pose to suit you, in this case, instead of lotus pose or another alternative, you’ll be lying in your bath with your limbs stretched out to relax. Now, let’s work on how you breathe. Although this is something you do every second of every day automatically, during meditation to get the full effect you need to take control of your breathing. Take a deep breath in through your nose, hold for a couple of seconds and let it go. While doing all that try to focus on ONE thing you want out of this meditation and use that as your mantra; let all other unnecessary thoughts go. And that’s it! Once you’ve accomplished these four steps, you’ll be meditating. Like any meditation, you need to find a time when you can have some good old peace and quiet. We know how hard this is––you have a job or children, and lots of other wonderful little stress factors––but it’s also essential to ensure you get a real benefit from meditation. Start with 10 minutes––you deserve ten minutes in a day to yourself, right? As you get comfortable with this time, you may wish to expand it, but for now, start by taking ten. Our sense of smell is one of our most powerful assets; scents can have a profound effect on our mood and help reduce our level of stress. 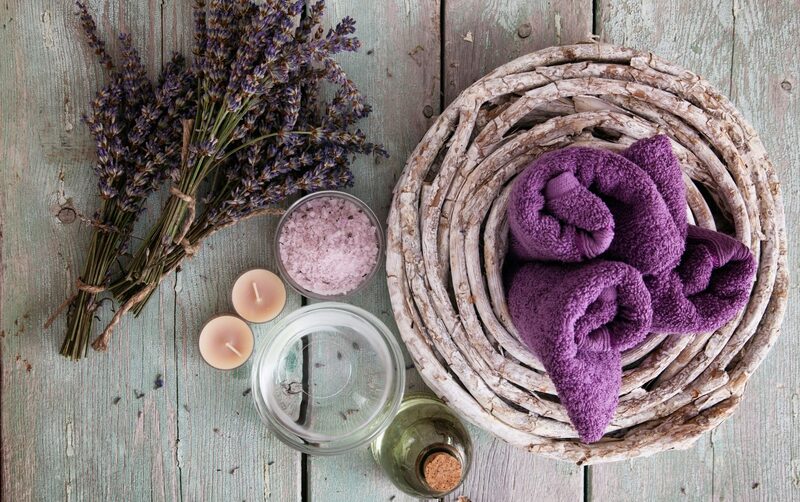 During your bath, you may also want to consider adding aromatherapy to the mix with different essential oils and herbs. Lavender is the most familiar relaxing smell, but you can also use bergamot to reduce anxiety (and improve circulation and mood), chamomile oil, rose oil or sandalwood which can improve focus. This is the part where your active meditation truly starts. Follow the steps we outlined earlier and as you sink into the water (keep your head above it, of course) breathe deeply and repeat your meditation mantra. Keep your mind in the present by focusing on your mantra and your breathing, let everything else slip away; it’s not important right now. Concentrate on how the water feels around your body and let go of all that stress you’ve been holding on to; this is what calm feels like. It can be difficult to keep concentration on your mediation at the start, but as you continue to repeat the process, you’ll notice the benefits more and more. We know bathtub meditation can be remarkably relaxing, but this one’s really important––don’t fall asleep in the bath. So, while you relax, do remember where you are, and ensure your safety is first and foremost.